Simple and colourful guide for absolute beginners of any age. Friendly cartoon characters explain how to play each note, and provide an entertaining introduction to reading and understanding music. Includes games and puzzles and fascinating facts about the piano. This book helped me a lot with learning the piano. I did not know how to play the piano. But this book helped me. It has helpful illustrations to make you clear about the notes, tunes and many more stuff! I was really struggling with the pitch but this book is the dictionary of piano, so why would anybody be struggling?I LOVE THIS BOOK!!! This book really helped me to learn the piano. 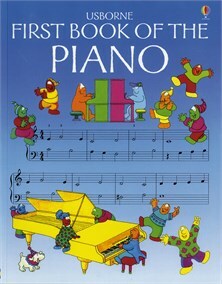 I am 12 and just started learning the piano, but sadly I had to return this book to the library. I will surely try to buy it!! !